There's no issue more controversial, or liable to cause arguments, than the topic of race. A person's race is often tied to their culture, their heritage, their family, their family's history, their identity and their sense of personhood - so when someone dismisses (or even *seems* to dismiss) your race, it can feel like an assault on your personhood. When local Bay Area Pastor Bryan Loritts wrote an op-ed piece in Christianity Today about how he felt like an outsider as a black man in the predominantly white American church, he received an overwhelming response of more than one million views and sparked a provocative national conversation about what it means to be a person of color AND a Christian in the United States. Join us for our third PUBLIC FAITH FORUM as we discuss the charged topic of race. Bryan Loritts will be by to discuss insights from his new book Insider Outsider: My Journey as a Stranger in White Evangelicalism and My Hope For Us All, where he dives deeper into what it's like to be a person of color in predominantly white evangelical spaces today and offers helpful wisdom on where we go from here. Drawing on insightful snapshots through history, eye-opening personal experiences, and Biblical exposition, Loritts awakens both our minds and hearts to the painful reality of racial divides as well as the hope of forgiveness. As Loritts writes, "It is impossible to do theology devoid of cultural lenses and expressions. Like an American unaware of their own accent, most whites are unaware of the ethnic theological accent they carry." During the evening, we'll talk about the "accents" we carry. We'll also have a panel of pastors and leaders from WestGate Church of various ethnic, racial and cultural backgrounds share their stories and insights. The panel will also field questions from people who have written in their earnest questions. The goal of the evening is to create space where people of faith can explore deep and important issues together with Biblical wisdom, nuance, candor and practical action steps from a panel of thoughtful and knowledgeable people. We hope to all learn the art of listening to stories unlike our own, identify the problems and pitfalls that keep Sunday morning segregated, and participate in an active movement with God toward a holy vision of what Dietrich Bonhoeffer calls "life together." 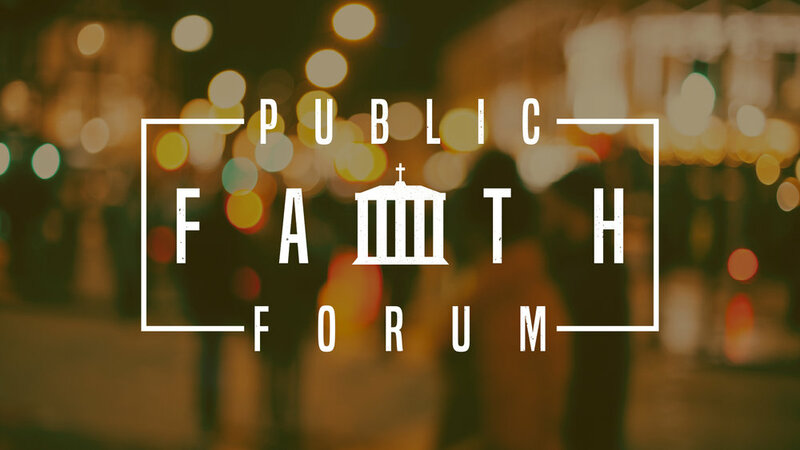 Join us for our third PUBLIC FAITH FORUM.